A major volley that ripped through a onetime cow busines is being treated as an arson attempt committing fireworks, police said. The blaze broke out in Nottingham’s cattle busines at about 18:00 GMT on Sunday, engulfing various houses and destroying businesses. 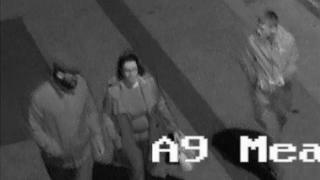 Nottinghamshire Police wants to speak with three people caught on CCTV at the time. Officers said the glow “involved fireworks set off nearby”. About 100 firefighters undertook the flaming, which is now being brought under control on Monday morning.